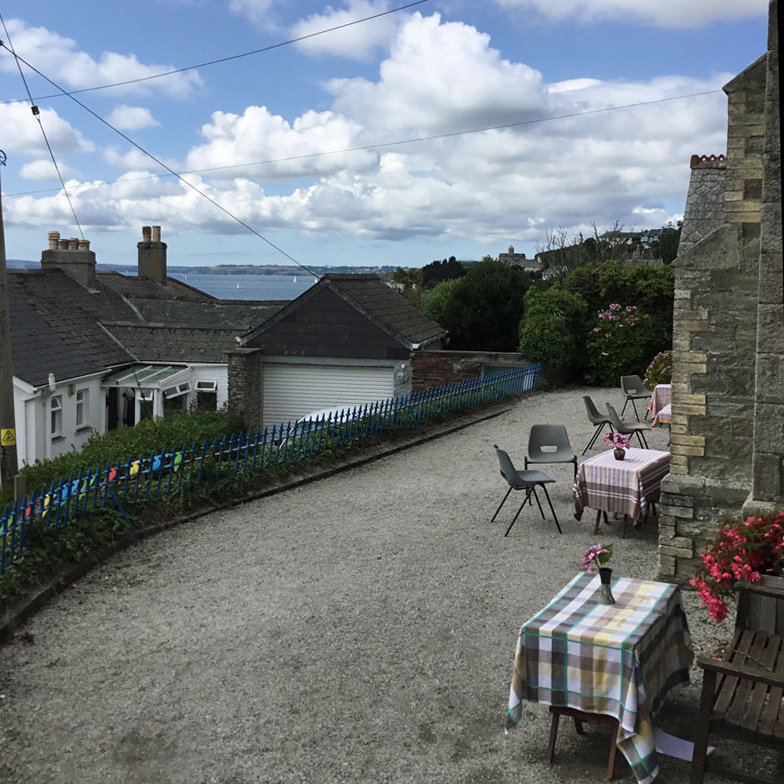 Our Summer Pop-Up Cafe at St Mawes church is now open! Take a break from your busy day to admire the beautiful views from our terrace while you enjoy tea, homemade cakes and other light refreshments. And the Cafe is only a few steps from our famous charity shop, which you can find in the Church Hall. The Pop-Up Cafe is open Monday-Saturday 10.30-12.30 between the 13th August – 1st September. The Cafe raises funds for the work of the Church in the Parish, but more importantly provides a beautiful place to stop and have a chat. We hope to see you there. If you would like to help or provide a cake, please contact us.